One of the hottest topics in the prepper and survivalist world is how to make penicillin at home. Considering how expensive healthcare is, I wouldn’t be surprised if there aren’t some DIY types also wanting to learn how to make penicillin. Because penicillin is “just mold bread” and was discovered by accident, it might seem pretty easy to make penicillin. Yes, it is – but it is really hard to make penicillin safely. If you want to learn how to make DIY penicillin, here’s what you need to know. 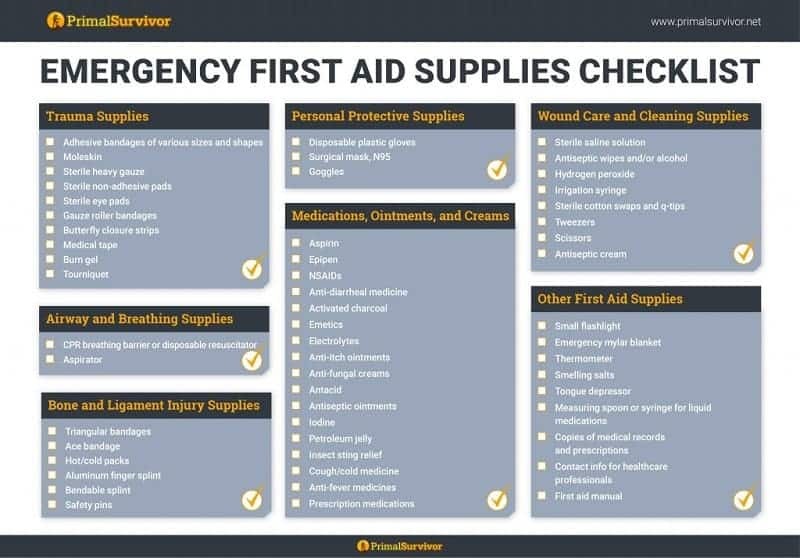 Need an Emergency First Aid Checklist? 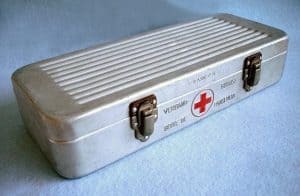 Before I even get into the (complex) instructions on how to make penicillin at home, I want to emphasize that it isn’t as straightforward as many prepper sites would have you think. Penicillin doesn’t treat superbugs: Antibiotic resistant bacterial is a huge problem. Already many bacterial strains are resistant to penicillin. So, don’t count on penicillin to save you from every infection! Penicillin doesn’t treat all infections: Penicillin can be used in many throat, respiratory, and skin infections. It won’t treat tooth infections or UTIs (amongst others). Most people don’t have the supplies to make penicillin at home: As you’ll see, it is pretty complicated to safely make penicillin. 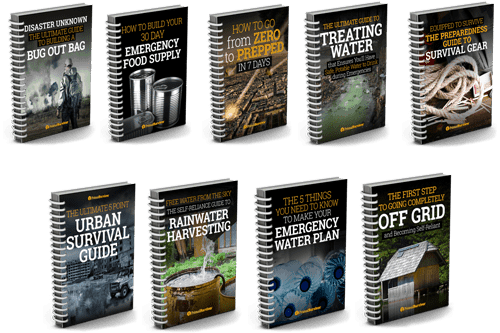 Unless you really prepare ahead, I doubt you’ll have these items on hand when SHTF! When Would I Recommend Learning to Make Penicillin? I think learning any skill is a good use of time. However, I personally think that this one only makes sense if you plan on becoming an expert. I mean REAL EXPERT. Because you could make penicillin as a SHTF bartering item. You’ll become much more valuable to your survival community if you know this too. Otherwise, you are spending a lot of time on this skill when simpler alternatives exist. Most doctors won’t give out prescriptions for antibiotics “just in case.” Even if they did, those antibiotics can be really expensive! A better alternative is to use fish antibiotics, which currently don’t require a prescription, are cheap, and easy to get. But, just in case you still want to learn to make penicillin, here are the instructions! Put piece of bread, cantaloupe, or citrus fruit in container in a dark place at 70 degrees F. It should be in a closed (but not airtight) container. It helps to add a few drops of water to the container and leave all but one corner closed to keep in moisture. 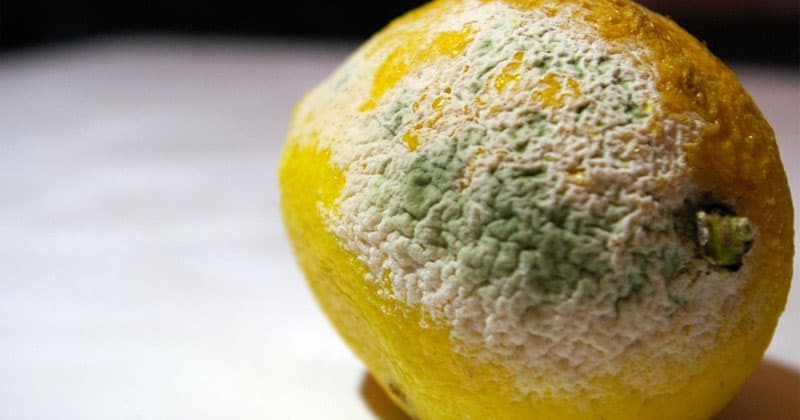 It can take weeks for the mold to start growing. Hopefully you aren’t trying to treat gangrene with your DIY penicillin because your patient will likely be dead before you get any usable spores. The bread or fruit will start getting a gray mold. This gray mold will eventually turn a bluish-green color. This is the mold that you want for making penicillin! 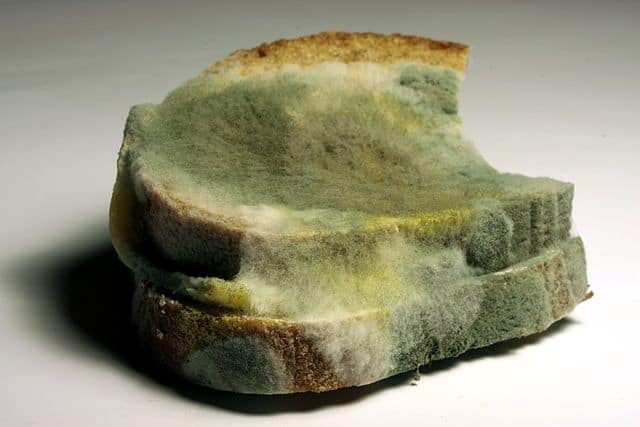 Note: You’ll want to use homemade bread because most commercial bread contains additives to inhibit mold growth. The greenish-blue mold you grew contains penicillin. Some people say that you can just rub the mold on wounds or even make “penicillin tea” out of the mold. Unfortunately, neither of those are going to work very well. One of the hottest topics in the prepper and survivalist world is how to make penicillin at home. Rubbing penicillin mold onto a wound might treat surface bacteria, but won’t help much if the bacteria has already spread into the bloodstream. One of the hottest topics in the prepper and survivalist world is how to make penicillin at home. “Natural penicillin” derived directly from mold is very sensitive to stomach acid. If you drink it as penicillin tea, it will be destroyed before it makes it to your bloodstream. The only way to make this penicillin works it to inject it (not recommended!). To get the benefits of penicillin from mold, it has to be further cultured. Instead, you need to re-culture the penicillin. This step also ensures that you are only getting penicillin bacteria and not other contaminants. Thinly slice 200 grams of unpeeled potatoes. 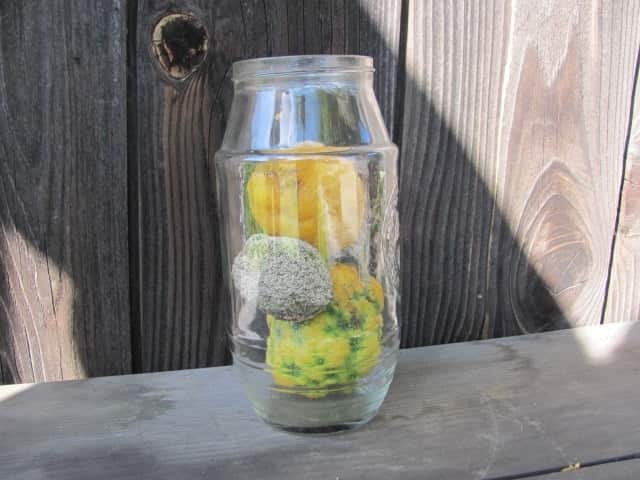 Put the potatoes into a 1 liter mason jar and fill with distilled water. Screw on the lid tightly. Put the entire jar into a pot of boiling water. Boil for 30 minutes. Once it cools a bit, open the jar. Strain the contents through a cheesecloth (sterilized lace curtains work in a pinch). Catch the liquid! This is the “broth” that you need. Add 20g of glucose (aka dextrose) to the broth. If you don’t have glucose, plain sugar will work. Add 20g of agar to the broth. If you don’t have agar, then plain gelatin (not Jello) will work. Note that the agar isn’t going to completely dissolve. That’s okay. Add distilled water until the total volume is 1 liter. Pour the broth into wide, flat jars with a sealable lid. Basically, anything that could work as a petri dish. If you actually have petri dishes, then use ‘em! Cover the dishes immediately to prevent microbes from the air from getting into them. Now it is time to move your penicillin mold spores to your “petri dishes” that have the potato broth in them. Get a thin piece of wire. Bend the tip into an oval shape. Sterilize the tip of the wire in a flame. It should be red hot. Dip the hot wire into the potato broth to cool it down (so the heat doesn’t kill your penicillin spores). Now touch the wire tip to the greenish-blue penicillin mold. Make three lines on your petri dish. This is where the colonies of penicillin will start growing. Keeping it covered, let the penicillin grow in your DIY petri dishes for about a week. Penicillin is a yellow color. However, other species of bacteria can also be yellow, so it is hard to tell for sure that you got penicillin without a trained eye and a microscope. Here is where things get a bit complicated. You need to ferment your penicillin spores so they reproduce in huge numbers. Otherwise, it will be like trying to put out a forest fire with a bucket of water. At most prepper websites, they tell you to get a bunch of weird ingredients like potassium monophosphate and sodium nitrate. That method works – but I doubt you will find those things laying around when SHTF. Here’s a simpler method of fermenting penicillin. Sterilize the flask in the oven at 315 degrees F for one hour. Put the glucose, yeast, citric acid, milk powder, and sea salt into your graduated cylinder. Fill the cylinder with water until it reaches the 100ml mark. Pour the contents into your flask. Put the lid on and shake until the contents are dissolved. Add your penicillin cultures to the flask. Make sure you are using sterile methods, such as using a sterilized metal loop to add the cultures! Cover the flask with sterilized aluminum foil. This will keep unwanted microbes out of the flask while still allowing for air flow. Let the flask sit for at least 7 days but no longer than 14 days. 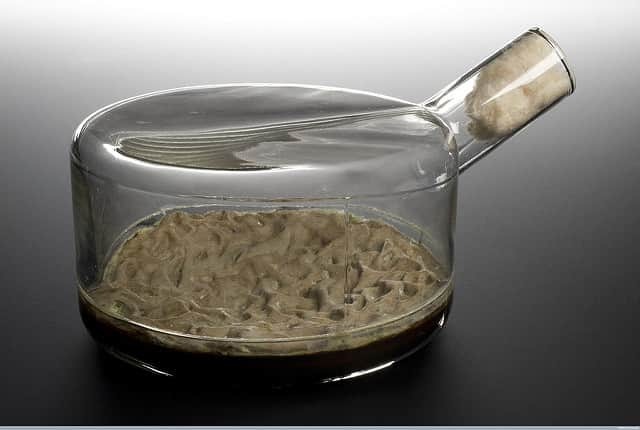 This is what penicillin looks like growing in a glass flask. After a week, you’ve got fermented penicillin in the flask. You’ve got to get out all of the other ingredients before you can use it though. There are going to be solid parts in the liquid. You need to separate these from the liquid. The liquid is the part which contains the penicillin, so you want to hang on to it! Strain the penicillin liquid through a coffee filter or sterilized cheesecloth. Catch the liquid in a sterile container. Now you need to adjust the pH of the penicillin. Add a drop of hydrochloric acid and then test the pH. It will probably be a pH of around 5 when you start. Keep adding drops and testing until you get a pH of 2.2. In theory, you could use this extracted penicillin now. However, the penicillin is very unstable. You’d have to use it right away. 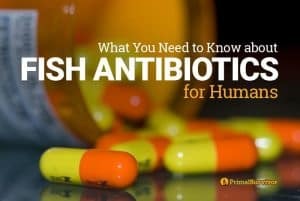 Considering that most infections need multiple rounds of antibiotics to treat, your whole efforts would be for nothing. Thus, you have to do the fairly complicated and scientific step of further extracting the penicillin. Ethyl acetate is used to completely extract pure penicillin. The penicillin dissolves into the ethyl acetate. Then the ethyl can be evaporated, leaving you with pure penicillin. Chill ethyl acetate in a freezer. Mix the cold ethyl acetate and penicillin liquid in a separator funnel. Shake them together for 30 seconds, then allow them to separate again. The ethyl acetate will sink to the bottom. Open the separator funnel and allow just the ethyl acetate to slowly drip out into a sterile collection container (a mason jar works for this). Now add potassium acetate to the ethyl acetate. You’ll need about 1g of potassium acetate for each 100ml of solution you have. Leave the solution uncovered in a ventilated area. The ethyl will evaporate, leaving behind penicillin. You’ll note that we started with about 100ml of fermentation. From that amount, you’ll probably only get about 100mg of penicillin. Considering that the penicillin dosage for treating strep throat is 125-250mg taken every 6-8 hours for 10 days, you’ll need a lot of homemade penicillin to treat an infection! I still think that knowing how to make penicillin is a good skill to have, but I wouldn’t bother until you’ve learned the core medical essentials. Prevention is best, so take your first aid skills to the next level, learn how to treat a wound so it doesn’t get infected and consider growing a medicinal herbal garden. These “fish” antibiotics aren’t actually meant for fish. 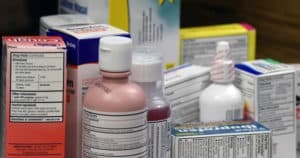 The sellers know that people like preppers want to get antibiotics without a prescription so they exploit a loophole in the law which allows them to market antibiotics for fish – even though they are the same pills for humans. Right now, the FDA does not require a prescription for fish antibiotics. Fish ammoxecillin sold at most pet stores and feed stores. I pay $50 for 100 10 mg pills. there are many kinds of culures media wich can be used to culture the Penicillium like saboraod dextrose agar or broth. That could be more helpful. We absolutely do use penicillin drugs in dentistry- in fact the first line (top choice) is Amoxicillin. Which, incidentally can also be used for UTIs, though it’s not first choice. Note: in dentistry we use antibiotics to bring a bacterial infection under control in order to be able to numb the area before a root canal and make it safer to do the procedure. It’s not an end in itself- the insides of the tooth or the tooth itself must be removed or the infection will return. In an shtf situation keep your teeth clean; don’t graze; use fluoride; and wear a hard night guard if you clench or grind (prevents fractures and broken down dental work). If you get an abscess, in an shtf situation, it’s probably best to extract. And take penicillin! Intersting! But long process and a lot to buy, unless you ”borrow some” in your lab at work! First formation as Chemist, and now family physician, this would be fun for me! Penicilin is still used in dentistery, by physician during week-ends, though others molecules with less resistance are used if more sévère. But patient wants pain killer and are anxious. Then dentist sees the patient somewhere during week. Occasonnaly, after receiving sensitivity of urine culture, pénicilline is used for some sensitive gut bacteria in urinary tract infection. Yes lots to buy and no guarantee it will work! Only for the curious or desperate. So in the article it says to add these things to the cylinder then addwater to 100ml. How much of each thing?? This article was so very vague. Then there were things like ethyl acetate… so where do you get that when its a SHTF time? Can you make it? How? I think maybe a good article would be more specific & try to use the same stuff people might have laying around their house or something you dont have to order off of amazon, being that when SHTF we probably wont have much luxury. Is this a serious comment? You can’t expect to make penicillin from stuff you have lying around in your home. 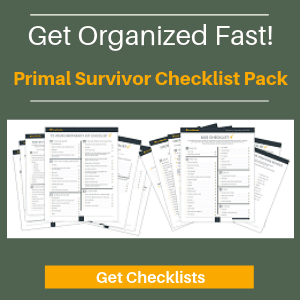 The article goes into some depth and clearly states that this is a complex and somewhat unrealistic endeavor for all but the most advanced and organized prepper. For the vast majority of people I would strongly suggest looking at alternatives. You could look at these natural antibiotics or stockpile some fish antibiotics. What if you are allergic to penicillin? Would a person have the same reaction to this as the pharmaceutical version? If made properly it should have a very similar chemical make up, under these circumstances I would assume that the allergic reaction would still be present. Always check with a medical professional if unsure.